Studied Music at Homerton College, Cambridge and also did performance and teaching diplomas, LRAM and ALCM. Grade 8 qualified pianist and have been teaching the piano for many years. All pupils under my guidance have successfully passed ABRSM exams. I teach in the comfort of my own home where my tuition is adapted to suit the needs of the individual pupil. I am the pianist for the local church where I play for weddings and baptisms. I have also been engaged to play the piano at private functions. Adagio Music, based in East Ardsley, Wakefield, offers music lessons to all ages and abilities. I teach music theory alongside the practical skills needed to give you a true and complete understanding of the instrument you are learning to play. Ba Hons Jazz. Dip. RCM. Beginners to advanced. Home visits offered. Tutor with over 20 years teaching experience of both children and adults. Classical and Jazz grades or without formal exams, my aim is to teach each person as an individual so they may achieve their personal goals and enjoy the process of making music. Teaching is done in my pupils home, which is often a great benefit for youngsters. Grade VIII Piano Music Theory taught. MAYork GRSM FTCL (PfP) ARCM (PfT/PfP) LL.B Leeds Grade VIII Piano. Specialist in piano music of Bartok. Piano / Keyboard / Music Theory Tuition. Beginners to Advanced. Adults and children. Fully qualified, experienced teacher. Will travel to students home. All ages taught from beginners to diploma level. Piano and organ tuition. Lessons in Mirfield or Pontefract. ABRSM Grade VIII and a BA (hons) in music (Leeds). Professional and friendly tuition based in Birkenshaw, just off junction 27 of the M62. I visit pupils as far away as Wakefield, Bradford, Huddersfield, Halfiax, Brighouse, Leeds, Castleford, Pontefract and Dewsbury... Using a midi keyboard and music editing software I am able to create any piece of music you would like to play, and tailor it to your level; nursery rhymes, pop songs, classical pieces, hymns. I teach the ABRSM syllabus, both classical and jazz up to Grade VIII standard. I also teach the accompanying ABRSM theory to Grade VIII. As a jazz pianist I do courses in improvistation, harmony and composition; this involves reading chord structures rather than traditional notes on the stave - many students find this system easier to learn. My other job is an accompanist in schools, therefore I have a full CRB check. 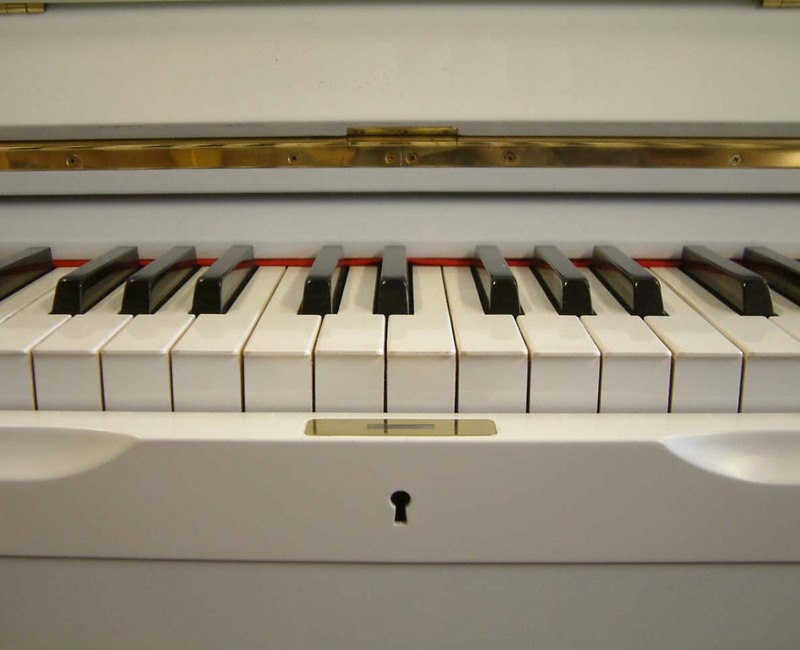 Piano, keyboard and electronic organ tutition Friendly and flexible approach to teaching. All needs are catered for, whether playing for fun or aiming towards exams. Private Piano Tuition, ABRSM Exams, Trinity Guildhall Exams, All standards taught. Beginners to diploma. - Piano lessons in jazz, classical, blues, pop, folk and any other genre you might want! Theory & technique lessons are also available. I live in LS6 and have the means to travel far afield - can teach at home or away. Seeing as I'm only recently out of music college, my rates are reasonable and flexible and I would be happy to give the first lesson free as a taster. Music tuition in LS1 - Relaxed, friendly piano / keyboard tuition to suit you. Classical / popular styles. Ph.D (Leeds), PGDipMus (RSAMD), LRSM. Piano and theory taught. All ages. Piano and cello tutor with 18 years experience teaching in primary and secondary schools and universities. Private students of all ages and abilities welcome. An experienced classical and Jazz pianist performing regularly, including in concert with Millegro Choir and Prima Vocal Ensemble. Tuition is available in all genres from the Classical exam syllabus to Jazz improvisation. Piano Teacher & Freelance Pianist. Tuition offered by concert pianist Available for both regular tuition at his studio or for one-off consultations, as preparation for exams/auditions/competitions or performances. BMu/Ed LAM, PGCP LAM . Concert pianist, harpsichordist and tutor with over 20 years of international experience, providing tuition at the Piano Kids studio, the only private specialist piano studio in the north east of England. Piano and keyboard teacher of a wide range of styles for students of all ages and abilities. Specialist in rock and pop. Music lessons for all styles, abilities and ages. I specialise in music theory and piano tuition but also have advanced knowledge in harpsichord and organ technique and performance. Competetive rates including free consultation lesson to test the waters. MALeeds GCLCM LRAM LGSM(PfT) ARCM(PfP). Beginners to intermediate. Specialise in adult beginners or returners. MA Mtpp BA RSAMD ALCM.TD PGCE. Acknowledged in "Organ Times" as "a veritable expert in all aspects of the organ and it's music, this man is teacher, examiner and concert performer. The experience of years of teaching piano and organ and concert performances is passed on to pupils with enthusiasm. Will visit pupils in the Fylde area - Lytham, St. Annes, Blackpool, Cleveleys, Poulton or you visit me. Learn to play for leisure and for exam preparation. Honorary member of Victoria College Of Music, Certificated Teacher Of Victoria College Of Music and Associate Of Victoria College Of Music. Tuition for Piano/Keyboard for all ages, learn for pure pleasure, examinations available through ABRSM Grades 1 - 8 - First lesson free.